The Hoverbike has been built by a Russian company called Hoversurf and is called the Hoversurf Scorpion 3 that can be piloted at speed up to 70 kmph while the batteries last for 20-25 minutes. Dubai has successfully managed to transform itself into the mega metropolis of the future. While the city certainly has no dearth of options to please tourists and residents alike, it does come up with something new and exciting time and again. For the petrolhead, it has to be the exotic car fleet with the Dubai police that has kept the city in the news time and again. 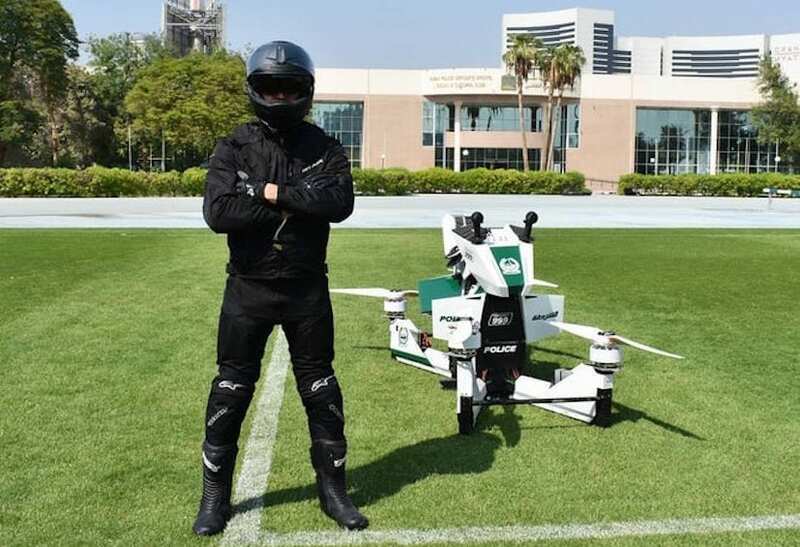 Now, going a step further, or higher should I say, Dubai Police has announced that it will be adding Hoverbikes to its fleet, a first globally. 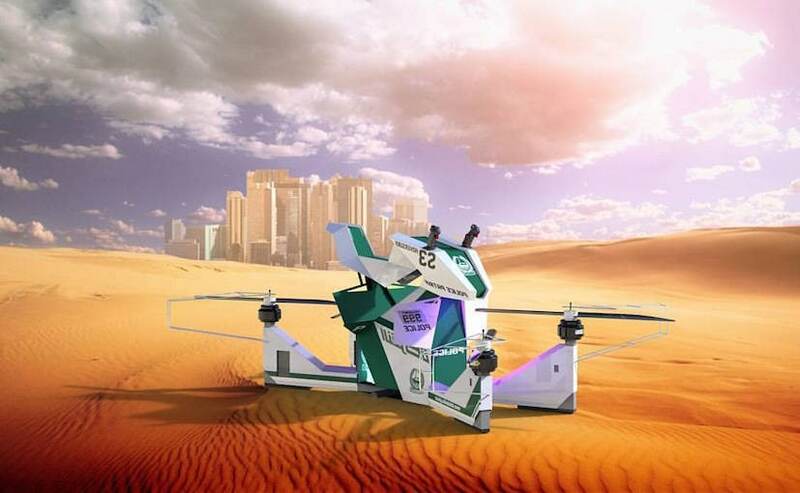 The announcement was made at the Gulf Information Technology Exposition (GITEX), the biggest technology expo in the Gulf region, and the Hoverbikes will be added as a first responder vehicle. The Hoverbike has been built by a Russian company called Hoversurf and is called the Hoversurf Scorpion 3. It is like a ridable drone, complete with four propellers that can carry a single person. Completely electric, the Hoverbike can fly the pilot at speeds up to 70 kmph with a programmed maximum height of 5 metres. It can also fly unmanned like a drone, with a top speed of 100 kmph. The hoverbike has a range of 20-25 minutes with a recharge time of three hours. If you thought the Hoverbikes were replacing cars anytime soon, fret not, that won't happen. 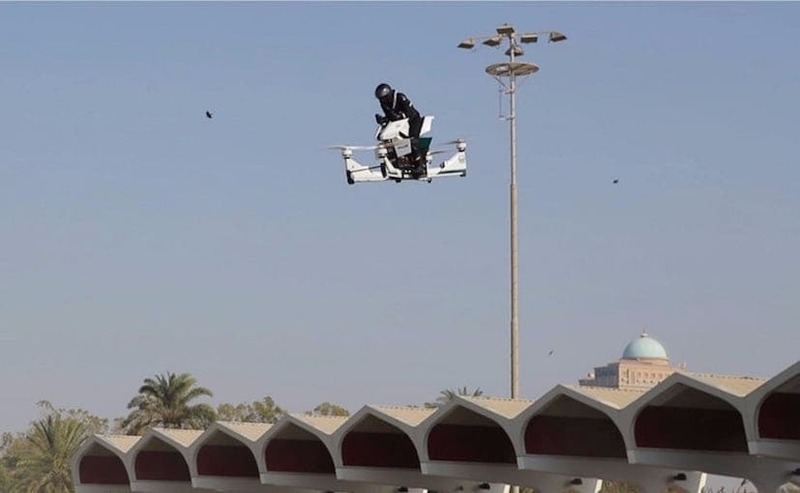 The Dubai Police Force says that the hoverbikes will be used as first responder vehicles, especially in locations where a large vehicle remains in accessible. Hoversurf CEO Alexander Atamanov announced on Facebook that his company have signed a memorandum of understanding with the Dubai police that will allow Hoversurf to begin mass production of the Scorpion crafts in the Dubai area to serve the force. While the idea sounds impressive, let's not forget that Dubai has a reputation for such publicity stunts to attract more tourists. In the past, the city also announced jet packs to fight fires that haven't seem to have found use yet; while there have been innovations like flying taxis put to test as well. Safety still remains a concern with light personal aircrafts, especially with those that have four propellors around them, which can be dangerous for the pilot as well as those on ground. That said, it will be interesting to see if the hoverbikes do find some purpose more than just looking cool.